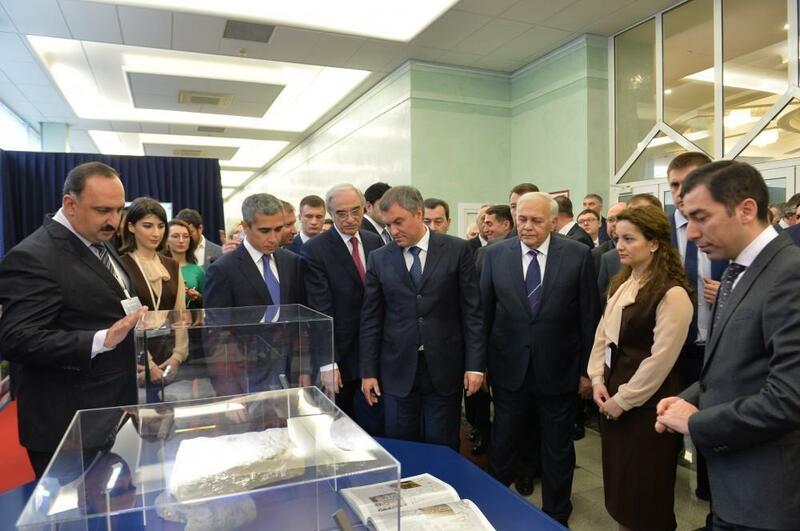 An exhibition dedicated to the 25th anniversary of establishment of diplomatic relations between Russia and Azerbaijan opened in the State Duma of the Russian Federation. 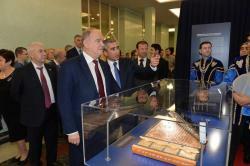 The solemn opening of the exhibition was attended by the Speaker of the Azerbaijani Parliament Ogtay Asadov and Speaker of the Russian State Duma Vyacheslav Volodin. 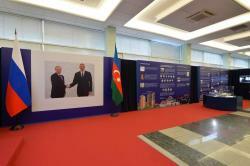 The exhibition was co-organized by the Heydar Aliyev Foundation, Azerbaijani Embassy in Russia, and State Duma Committee on the Commonwealth of Independent States, Eurasian Integration and Relations with Compatriots. 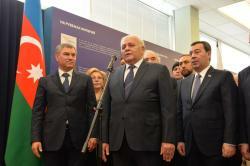 Speaking at the ceremony, Asadov expressed confidence that such events would contribute to the further development of bilateral relations. 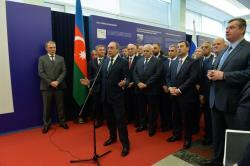 “I am confident that the Azerbaijani-Russian relations will develop even more every year,” the speaker of the Parliament said. 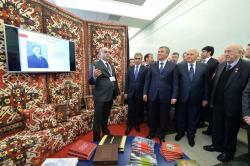 Volodin, in turn, addressed the opening ceremony, highlighting the Azerbaijani history and culture. He stressed that such events contribute to the strengthening of bilateral relations and creates the opportunity to discuss important issues. The Russian State Duma speaker expressed gratitude to Heydar Aliyev Foundation for organizing an exhibition that allows to get acquainted with the history, culture and the present day of Azerbaijan. 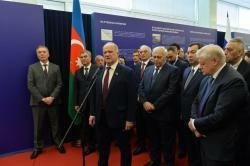 He stressed that the peoples of Azerbaijan and Russia fought together against fascism in the Second World War, and today the friendship is growing and developing. “The decisions taken by the head of our states, Ilham Aliyev and Vladimir Putin, form the basis of relations between the two countries. 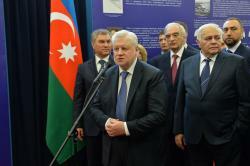 Together with my colleague Ogtay Asadov, we will create conditions for the further development of our ties, mutual visits and meetings in order to better understand each other,” Volodin said. 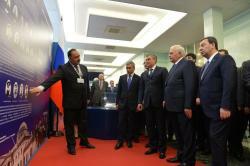 The exhibition dedicated to the 25th anniversary of establishment of diplomatic relations between Azerbaijan and Russia is the first ever in the State Duma dedicated to a foreign country. 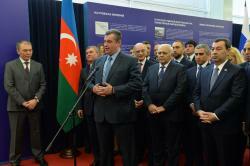 The main concept of the exhibition is display Azerbaijan’s rich culture. The exposition includes the tangible and intangible heritage of Azerbaijan - carpets, musical instruments, elements of traditional murals, etc. 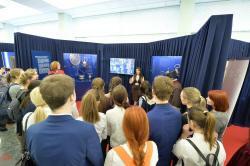 Stands and interactive monitors are featuring rich history of Azerbaijan, especially the part connected with Russia. 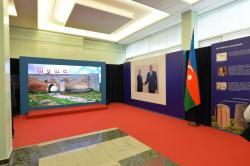 The exhibition consists of several sections, where visitors can get acquainted with the exhibits, photo and video materials about Azerbaijan. 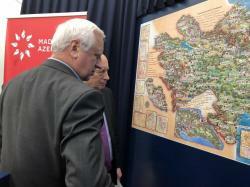 The information section contains brochures, booklets, tourist maps, information about the possibilities of visiting Azerbaijan, air flights and tours, materials about the candidacy of Baku for the EXPO 2025, etc. 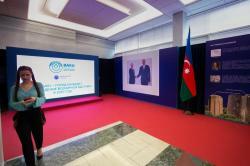 The guests can also purchase souvenirs of the national brand “I love Baku”. 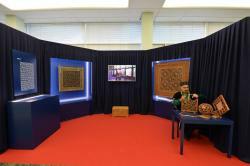 The exposition “Pearls of Azerbaijan” features national carpets, samples of coinage, traditional art “shebeke”, national clothes and musical instruments. The section “Rest and Library” was created in the oriental style. 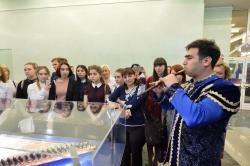 In the library, visitors can get acquainted with publications related to the country’s history and culture. 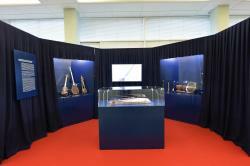 Of particular interest in this section are materials reflecting the period of the work of National Leader of the Azerbaijani people Heydar Aliyev in Russia, his visits to this country. 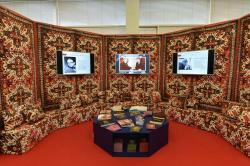 There is also a stand dedicated to Azerbaijanis, famous in Russia. 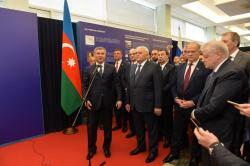 The section “History of Azerbaijan” features video materials dedicated to Azerbaijan’s rich history, multiculturalism and Azerbaijani-Russian relations.